CNC Bending Machines provide multiple control options. 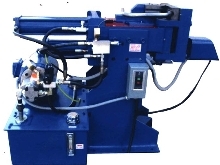 Crown RDB rotary draw bending machines are available in 26 models with sizes ranging from 10 to 150 mm. They include purpose-specific benders such as hairpin and serpentine benders. Built to accommodate difficult tube geometries, benders handle up to 4 radii and tube diameters without needing to change tools. 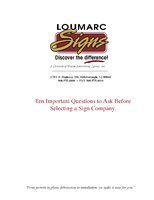 They feature bi-directional capability and plain English software. 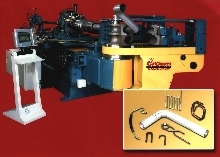 Bending Machines are available with or without CNC controls. Tube Bending Machines feature 2 in. bending head in single and dual head versions for up to 2.0 in. OD tube. 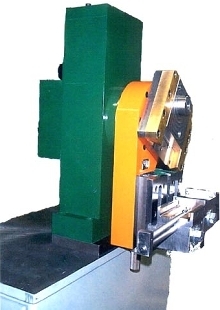 Head provides bending torque of 92,000 in.-lb and clamping torque of 17,000 in.-lb, which is achieved through use of dual opposing racks in main body. 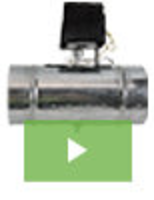 Both main shaft and roll shaft are supported with combination of straight and tapered roller bearings. Vertical Tube Benders produce up to 8 bends per cycle. Bending/Forming Machines make multiple bends in a single plane.